During the first time configuration, you have to set your Prota's password. This password prevents access from unauthorized users and secures your device. It is necessary to enter this password to access your Prota when the AP mode is activated. 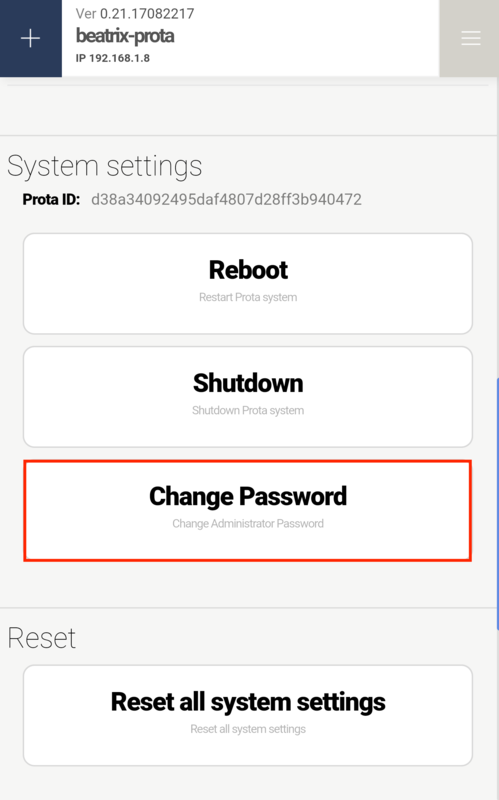 How to change Prota's password? 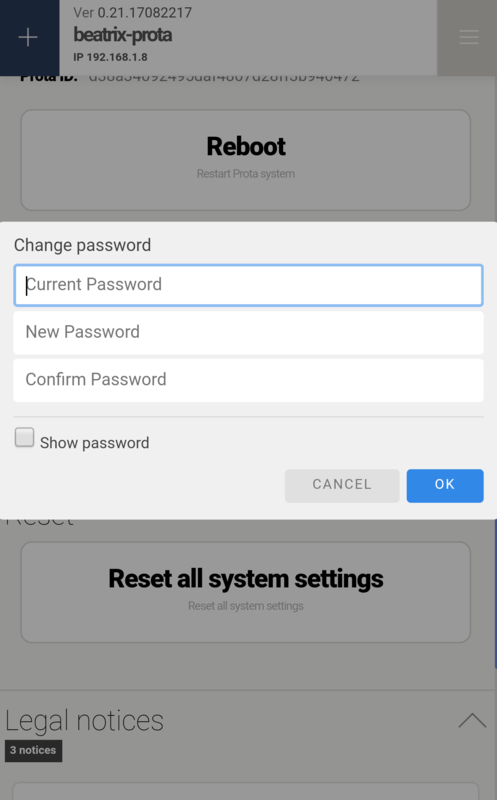 If you wish to change the password of your Prota, you can change it in Settings app. 1. Go to Settings app,'System settings' and click on 'Change password'. 2. 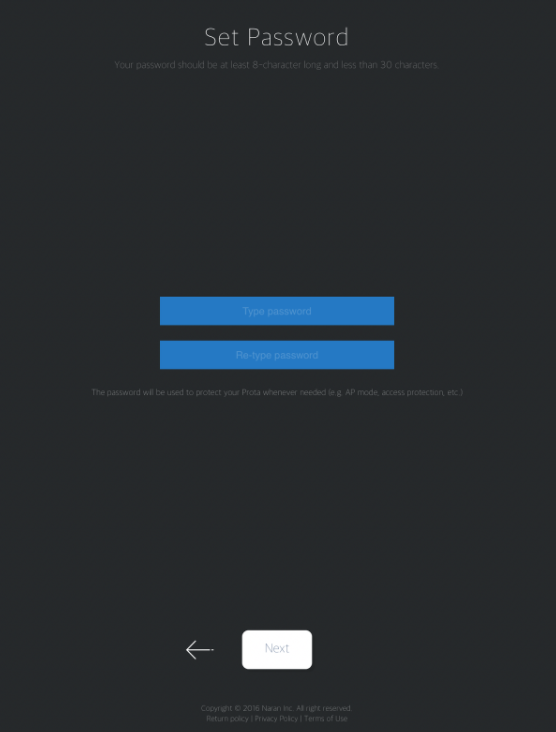 Enter your current password, add your new password and confirm it a second time. Click on 'ok'. To ensure customer's privacy, we do not save any customer information on our server. Make sure to set a password that you will not forget! If you forgot your password, it will be necessary to reset your Prota.